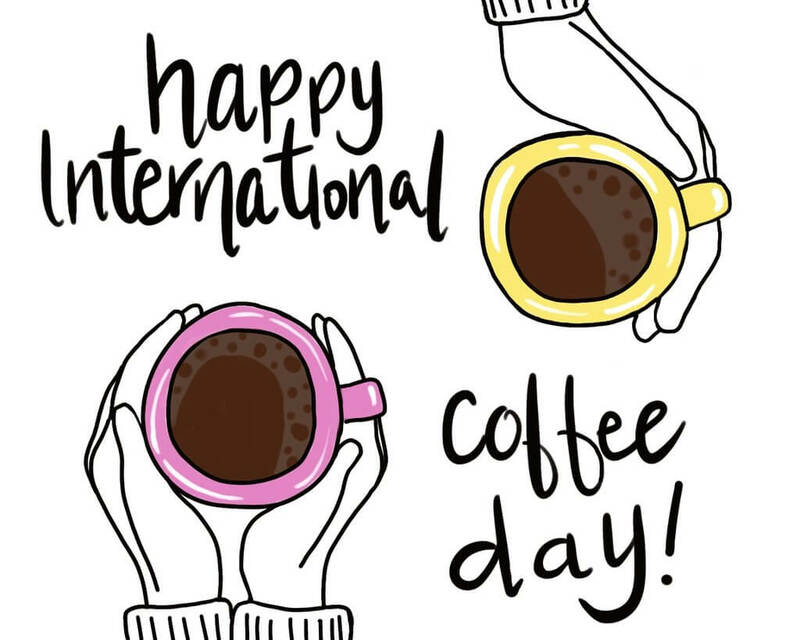 In honor of those of you who love a good cuppa joe, I wanted to invite you to join me in celebrating that today is International Coffee Day!! Despite the influx of PSL and latte artisans in all our social media feeds, up until a couple of years ago I didn’t even like coffee. In high school, I worked at a local coffee shop but just could never acquire the taste for it. I could make the fanciest mocha latte with the best of ’em, but just never understood how people found coffee appealing to drink. I managed to make it through high school, college, the first year of teaching (plus 8 more years) and the first two years of motherhood without coffee. Honestly, it was something I secretly found pride in. That I could do it all on my own strength and not need to depend on something else. Oh, how pride comes before the fall! Thanks to a new mommy friend a couple years ago, my preference has changed. I would go to her house at least once a week and she would make me the yummiest Vanilla Mocha Latte! It was our special little connecting time over a warm cup of coffee while the kids (sorta) played by themselves together. It became our little tradition. Since then I’ve enjoyed a warm cup about once a week when the mood strikes. Mostly when connecting with a friend or two. This was the inspiration for my hand-lettered print Gather. 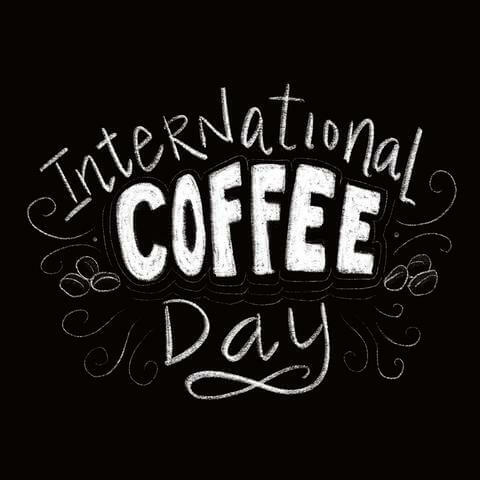 In honor of International Coffee Day, I’d love to offer you a little treat. 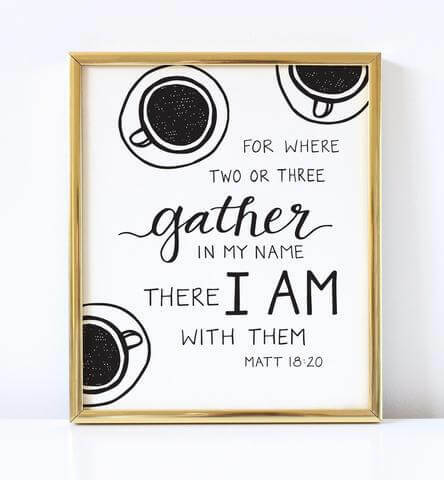 This Gather print is HALF OFF today only!! The great part is that you are buying the digital file so you can print two…one for yourself and one for a friend!! So hurry because it’s 50% off only until 11:59 CST tonight! Enter code COFFEEDAY at checkout to receive the discount. So here’s to #internationalcoffeeday!!! May you enjoy the cooling weather and spend some quality time with a friend while drinking your favorite cup of coffee! !